High-Definition Image Enhancer: The Bee’s Knees! 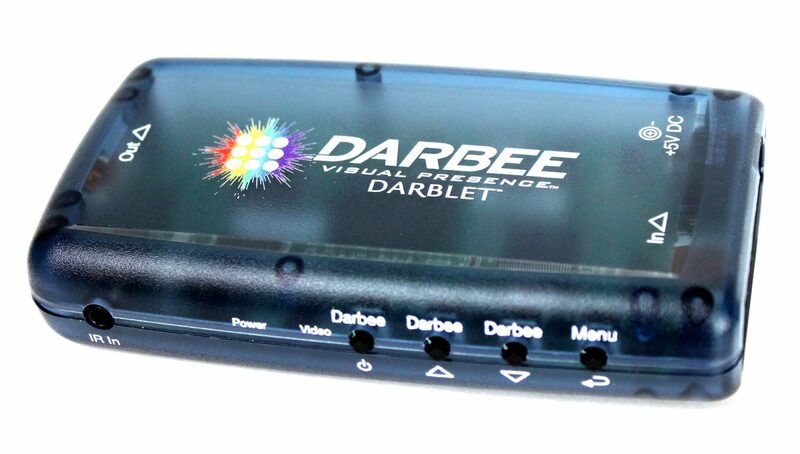 If you want to enjoy the highest fidelity picture possible on your HDTV, the DarbeeVision DARBLET HDMI High-Definition Image Enhancer is the solution for you. DARBEE Visual Presence ™ (DVP) technology establishes a fundamental breakthrough for image realism. It is ideal for use with High Definition (HD) TV’s and components such as Blu-ray, Xbox 360, Playstation 3, cable and satellite receivers, mobile and PVR. The Plug-n-Play device installs in seconds between any HDMI source and display. Using compatible HDMI cables (sold separately), first make a connection between the DARBLET (HDMI In) and your home theater component, and then between the DARBLET (HDMI Out) and your HDTV. After that, plug in your DARBLET, using the included power supply. That’s it! You’re ready to go! We found that no matter how good your display is, the DVP5000 will create better-looking images. Highly recommended for gamers and movie aficionados alike; at around $300, it is well worth the money. Previous article What’s Behind The Skills Gap?